I was sitting in the living room at my mom’s house. We were talking about how much she is enjoying her retirement. My mom worked as a comptroller for a non-profit organization. My mom speaks both English and Spanish fluently so throughout her life she has been asked to do some translations. My mom was born in Belize, an English-speaking country. (In fact, when my mom was born she was a British citizen.) But as a teenager, my mom joined the Adventist church and wanted to go to an Adventist college to study. The closest one to Belize was in Costa Rica. So at 18 my mother, who spoke no Spanish up to that point, moved to Costa Rica for school. My mother told me that her first semester was tough, but she quickly picked up the new language. By the time she graduated, she spoke Spanish fairly well. Then she married a Panamanian and moved to Colón and eventually Panama City. After several years of living in Panama, her Spanish improved even more. She moved to the U.S. Virgin Islands after living in Jamaica and Grand Cayman. She worked mostly in accounting and used her Spanish-speaking skills whenever needed. At first she just translated for visitors in church. Then she started to translate the sermons from Spanish into English while on the pulpit. Then she was asked to translate meetings at work at first from Spanish into English, then from English into Spanish. By the time she moved to Miami, she was well-known for her translating skills. She can translate, rehearsed, as the person is a translating for is speaking. But as head comptroller she didn’t have time to do as much translating as she does now. These days she is retired and is the go-to Spanish-English/ English-Spanish translator. Every time I call her she is in the Bahamas, Cayman, Venezuela, Australia, or somewhere else translating meetings or seminars, either from a booth or on stage. So that’s what I did. I got first class tickets from Columbus, Ohio to Fukuoka, Japan. 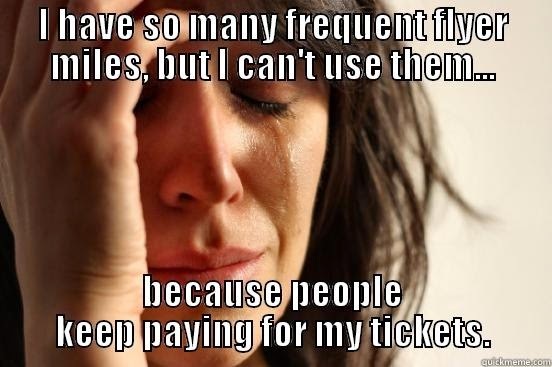 Since this ticket was bought with mileage points I could not get a direct flight. But I didn’t care. It was free and in first class. I had to choose between a Columbus, LAX, Seattle, Fukuoka or a Columbus, LAX, Honolulu, Fukuoka route. I chose Honolulu. 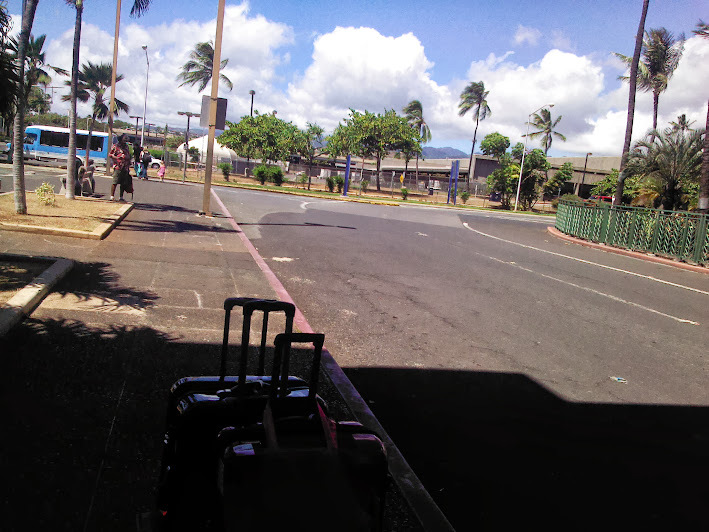 Even though I would not be leaving the airport, I thought that Honolulu just sounded like a better place to wait for a flight from. That’s me; first class all the way! I left Ohio in the evening on Friday. I would spend the night in LA and fly to Hawaii early the next morning. My plan was to either sleep at the international terminal or find a cheap hotel. When I got to LAX I was very hungry. Online, the consensus was that the international terminal was a better place to eat, use the internet, and even to sleep, so I went there. After eating way too much Chinese food, I found some wi-fi and started looking at hotel options. When evaluating the price of accommodations from an airport, one must factor in the cost of the taxi ride to and from the airport. Taxis charge extra when there is an airport involved and this can make the cost of one night’s stay much more expensive. 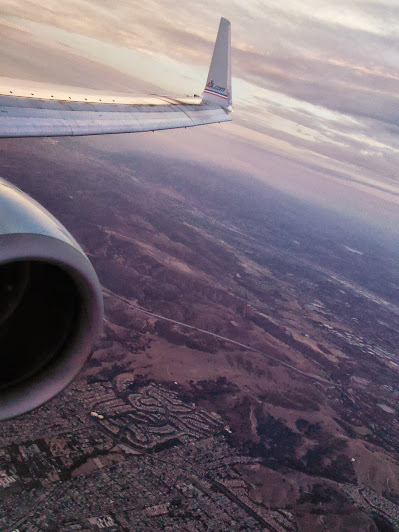 In fact, it might even be cheaper to stay at an expensive hotel that offers a free airport shuttle than a cheap hotel where you have to pay for your own taxi. There were many great hotels with free shuttles to choose from, but when I tried to make reservations online, I would get a message that the room I wanted was just taken. After an hour of this I looked at a clock. It was almost midnight and my flight was for 7:30 the next morning. I would have to be back at LAX by 5:30. I gave up on finding a hotel and went to a nice waiting area, found a sofa, and fell asleep. Flying first class was nice. The food was great, the extra space was great. It was nice being one of the first on the plane. But what I really liked about first class was the little things. The flight attendants learn your name and calls you by your name, or nickname if you prefer, for the whole flight. They also make small talk with you. They take the time to explain the menu, “The salmon comes from Alaska and it is served in a white wine sauce…” Something like that. It was not like a servant\ boss relationship type of thing that I had imagined, but more like a friend who is having you over at his or her house. 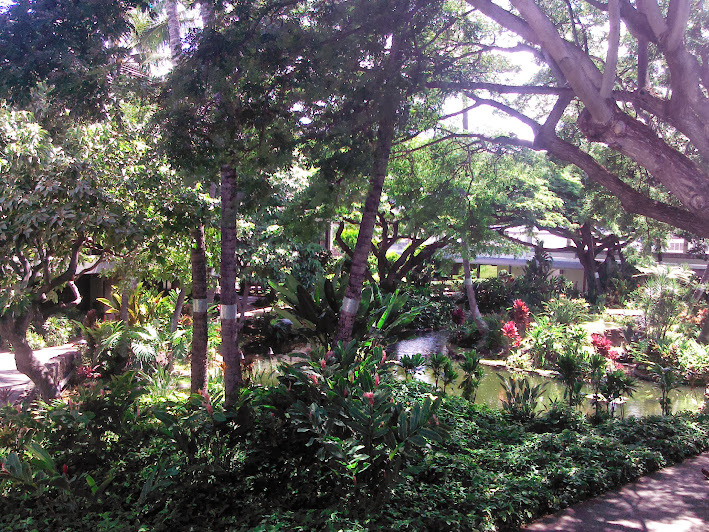 The middle of the airport in Honolulu — Yup they put a garden in their airport, because… Hawaii! I landed in Honolulu and the first thing I did was to find the gate for my next flight. 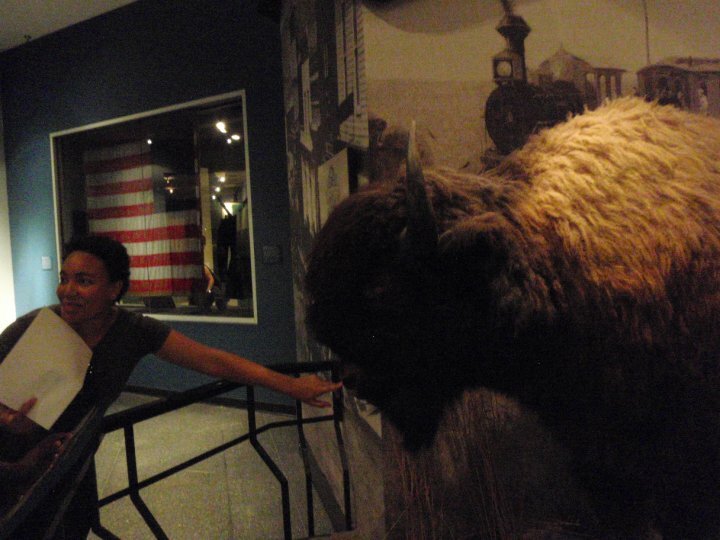 Once that was sorted out I headed to a restaurant to spend the rest of my US dollars and eat the last plate of buffalo wings I would have for a long time. I also bought an overpriced drink and give a heavy tip, — ’cause what am I going to do with a 20 dollar bill in Japan? Just before it was time for my flight, I made my way to the gate and I heard my name being called. I got to the counter and the lady there asked me to see my ticket out of Japan. I didn’t have one. I explained to her that my husband works in Japan and once in the country I would apply for a dependent visa. She said that that might be okay for Japan, but for the airline, they cannot take me to Japan unless I have an outbound ticket. The lady apologized over and over and explained that it was the airlines policy. She and her co-workers kept going on and on about how well I was taking not getting on the flight. I accepted her apology trying to not look so damn delighted that I was spending a day in Honolulu. I walked over the passenger pickup area and found an inexpensive hotel near the airport that also had a free shuttle. I got to the hotel and asked about an atm. I needed cash. (Why did I give such a big tip!?) I could pay for hotel and even meals with my credit card, but if I wanted to explore I would need to take the bus and the bus takes only cash. Kitty doesn’t care about gas prices. I walked several blocks to a Safeway where I could buy some water and get cash back. It was an hour of walking there and another hour of walking back. That’s when I noticed that normal people in America do not walk anywhere. Walking is just for the crazies. Non-crazy people drive or take the bus or at the very least use a bicycle. After I got back from the store I vowed to never walk in America again. 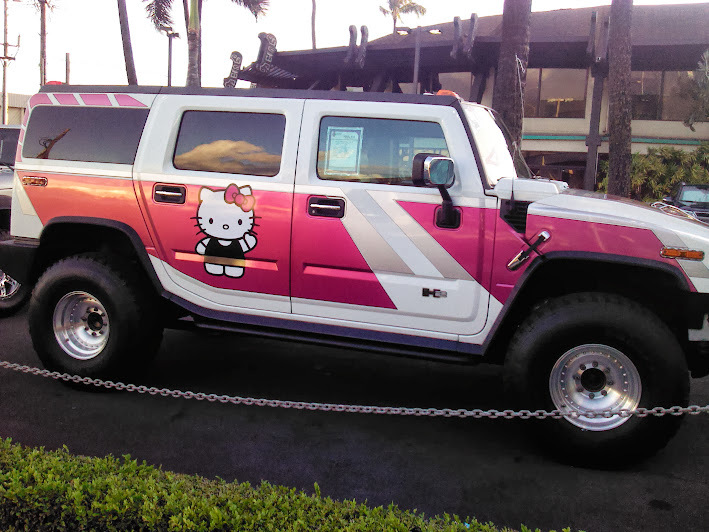 The next day I got up early in the morning and caught the first bus to Waikiki Beach. I walked along the beach and waded in the water. I could have visited Pearl Harbor if I planned everything right, but I decided not to take a chance. I relaxed at the beach a bit before going back to my hotel showering and making it in time for my flight to Japan. The next flight was first class on Hawaiian Airlines to Fukuoka. It was another great flight. The only question is how am I ever going to fly coach again? There are several foot washing stations that are free to use. The hotels on the beach are quite expensive. Parking might not be free. NTT DoCoMo users from Japan can use their phones in Hawaii.